Welcome to the Splash into Summer Giveaway Hop! I seriously can’t believe it’s June already. The weather has certainly caught up with its heat and humidity. What better way to cool off than with a cool glass of whatever floats your boat and a good beachy read. I’m currently enjoying Lost and Found Sisters by Jill Shalvis. If the cover doesn’t get you in the mood yet, I don’t know what will. Do Not Become Alarmed by Maile Meloy. I’m hoping to read It’s Always the Husband by Michele Campbell. 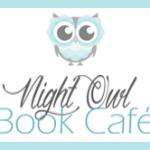 Once and For All by Sarah Dessen! Honestly, I don’t have any recommendations…I rely on blogs like yours for that!! I’m excited about this book! And I like to just read recommendations during the summer so I’m excited for what my friends and family suggest I read. I’m looking forward to Final Girls. And re-reading Beach Music by Pat Conroy. It’s been a few years since my last read. I’m looking forward to reading Ramona Blue and When Dimple Met Rishi, I tend to love contemporaries this time of year. I’ve heard good things about When Dimple Met Rishi. This one, I love reading Jill Shalvis books, thanks for the giveaway! This book sounds like a good read to start off summer!! I’m excited about White Hot by Ilona Andrews, Down Among the Sticks and Bones by Seanan McGuire. I’m looking forward to reading “Lost and Found Sisters”. Really liked the description and cover of the book. That’s a cute dog on the cover of this book! I’m not sure if it’s a “summer read” or not, but I’m excited about Space Cats from Space. It’s been a fun book I’ve been reading. Yeah even if it’s not my kind of read I have to say the cover just screams summer. Actually, anything by Jill Shalvis. She is such a wonderful writer and her books just take me away! I would love to win this for my daughter. She LOVES Jill Shalvis books. What a great giveaway. Thanks for posting! I’m looking forward to reading Crazy House. It looks creepy! I’m not sure which books, with this exception, are out for summer. I’m excited about this book because I enjoy her books. There’s so many great books coming out or that just came out. I’m looking forward to reading About a Dog by Jenn McKinlay. I just got a copy of Pachinko by Min Jin Lee. I’m all ready to jump right in. Thanks for the chance to win this book too. I’m very excited to read Returned by K.G. Little. The next one I’m looking forward to reading is Dark Legacy by Christine Feehan. This sounds like a fun way to start the summer! I love hops. Hence, the reason I’m here! 😉 Beautiful blog! Lost and Found Sisters looks like a great beach read. As for the summer release I’m most excited about, I’m actually starting it today. Until It Fades by K.A. Tucker. It comes out on the 27th and since Tucker is one of my favorite authors I am super excited for it! Thanks for the giveaway, Aleen! This book sounds really good, just my type of book. Thanks for sharing this giveaway!